I think that for most people, their religion, philosophy, life’s ambition (or whatever you want to call their primary sense of purpose) has degenerated into a football-fan spectator sport. It no longer matters whether you’re a good steward of the environment, or whether you’re building good relations with your neighbors, or whether you’re gainfully employed or, better yet, employing. It just matters that you’re rooting for the winning team and accumulating as many toys along the way as you can. I think that when things get really, really tough again — then we’ll find out who the “true believers” are. If history is any guide, there won’t be many. There is a thread of dissent that runs throughout the history of Christianity — when it became easy (after Constantine) or popular (right now) to be a Christian, then the basic message of the Gospel gets subverted and perverted by the artificial traditions of men and a lot of really stupid books like the “Left (your mind) Behind” series. There is/was always a small population of dissenters (heretics according to the Establishment church) who preserved the texts and ideals of Christian orthodoxy (and not the Greek kind) despite horrific persecutions — the kind that aren’t supposed to happen to “true believers” because they’re supposed to get whisked outa here in a fantastical rapture before things get really, really bad (but only for the bad guys). Now it is true that I believe this country is following a dangerous trend when it permits too great a degree of centralization of governmental functions. I oppose this–in some instances the fight is a rather desperate one. But to attain any success it is quite clear that the Federal government cannot avoid or escape responsibilities which the mass of the people firmly believe should be undertaken by it. The political processes of our country are such that if a rule of reason is not applied in this effort, we will lose everything–even to a possible and drastic change in the Constitution. This is what I mean by my constant insistence upon “moderation” in government. Should any political party attempt to abolish social security, unemployment insurance, and eliminate labor laws and farm programs, you would not hear of that party again in our political history. There is a tiny splinter group, of course, that believes you can do these things. Among them are H. L. Hunt (you possibly know his background), a few other Texas oil millionaires, and an occasional politician or business man from other areas. Their number is negligible and they are stupid. 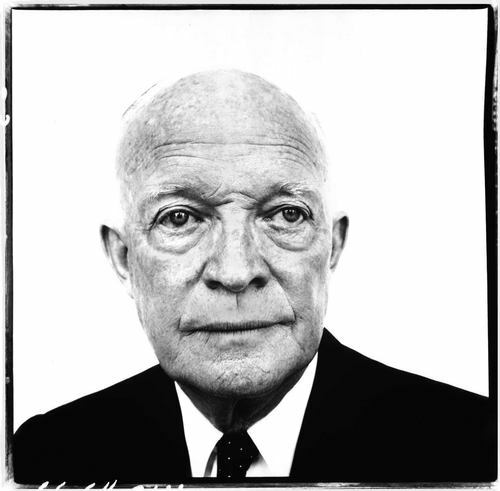 Neither side has men the caliber of Ike and Harry any more. Even if they’re out there, I’m not sure they can lead us out of the mess we’re in. Depressing as hell, ain’t it?